We have all seen those aspirational American TV programs such as “The OC” or “One Tree Hill” that depict the American way of life – the glamorous people, cars and fun lifestyle are alluring prospects. But it does not have to be experienced through the glass of a TV monitor – no you can actually go out there and live the American dream yourself by choosing to study in the US! Yes you can go out and join the many fraternities and sororities that make up campus life in America and whether it be Virginia or Idaho there are many options but each guarantee the chance of a thrilling and unforgettable experience. What makes the American undergraduate lifestyle so special and unique is that it gives you an academic flexibility, which means that you can study a wide variety of subjects – in order to decipher what exactly you wish to major in. For example after two years of taking classes in various streams, you can then declare your major, this offers a versatility which can only enhance your future opportunities. Studying abroad also demonstrates to potential future employers that you are adaptable, independent, a problem solver and open. So take a look at our guide to some of the top universities in America and see why gaining a degree over there can seriously enhance your prospects while also offering a memory of a lifetime! 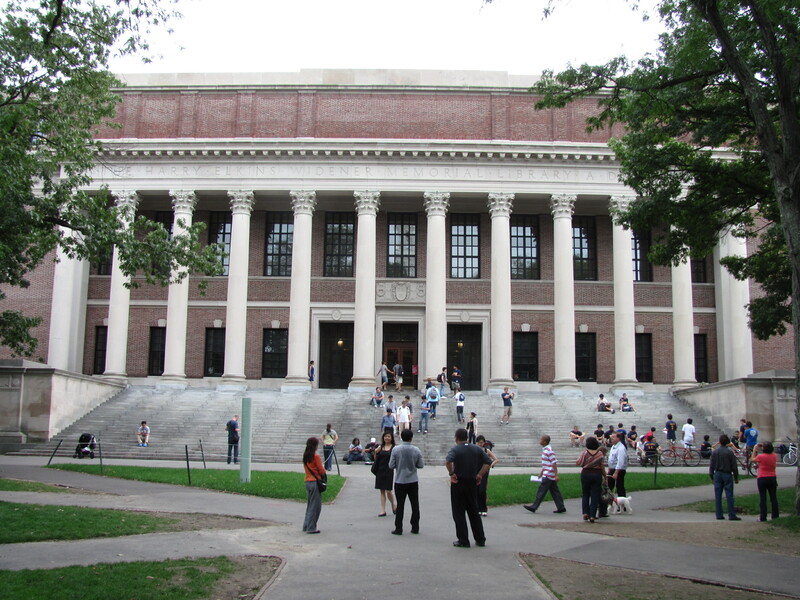 Known round the world Harvard University is America’s leading and oldest academic institution. Located in the state of Massachusetts and founded 140 years before the Declaration of Independence was signed, today some 21 000 students study there and borrow some of the 17 million books that are stacked on the library shelves! It is arguably the best university on the planet and studying there offers an unbelievable educational opportunity. Harvard University offers undergraduate programmes to students in 10 principal academic units. The university is dedicated towards providing quality education; job oriented programs and distinguished faculty. All these special features and more makes Harvard one of the most sought after universities that there is. With an enduring dedication to the pursuit of excellence, Harvard University offers unparalleled student experiences across a broad spectrum of academic environments. For the budding journalists amongst you, who have lofty aims and ambitions then Columbia University in the city of New York is your only choice! It is the oldest institution of higher learning in the state of New York and the fifth oldest in the United States, it is also the most prestigious place to study journalism in America. So much so that the much sought after “Pulitzer Prize” for achievements in newspaper and online journalism is administered by Columbia University. Apart from the incredible research facilities on offer at the university, the location in the Big Apple will provide you with countless opportunities and a magnificent backdrop to your studies. Learning in one of the best cities in the world is without doubt a superb motivational tool which has been absorbed by the beautiful, enclosed campus in the form of the infectious, strong and intellectual atmosphere among the undergraduates. “The Core” curriculum is another huge draw for studying at Columbia, it is a set of common courses required of all undergraduates and considered the necessary general education for students, irrespective of their choice in major. The habits of mind developed in the Core cultivate a critical and creative intellectual capacity that students employ long after college, in the pursuit and the fulfilment of meaningful lives – try seeing if Bangor University do that! Affectionately known as “udub”, the University of Washington is a public research university with 42 000 students which fill the 500+ buildings across its three campuses in Seattle, Tacoma and Bothell. The attractive campus of Seattle attracts visitors from around the world – it is located on the shores of two bays, with mountain views to both the west and the east. The university places a strong emphasis on holistic education—the school is committed to the development of “mind, body, purpose, spirit, and meaning”. The objectives of the university include expanding world views, enhancing environmental leadership, advancing the world, and creating healthier lives. UW spends over a billion dollars on research every year, putting them in the top five schools for research in the whole of America. How would you like to mix studying and brushing shoulders with the stars? Well the University of California, Los Angeles (UCLA) allows you to do this – studying in one of the world’s most famous cities. Brimming with culture LA really is the perfect accompaniment to your studies as the entertainment capital of the world – home to movies, television, music, fashion, performing arts and visual arts. UCLA is set at the foot of the Santa Monica Mountains and only a few miles from the Pacific Ocean. The campus includes Royce Hall and Powell library, both styled after Romanesque churches in northern Italy. The UCLA Bruins are the sports team for the university and with more than 100 National Collegiate Athletic Association (NCAA) team championships, it is one of the premier sports programs in the country. The next star in basketball, football, or the Olympics, may be playing for the Bruins when you're here. UCLA Recreation also provides active students a range of activities, including intramural team sports, yoga, rock climbing, and a complete gym in the Wooden Athletic Center. UCLA outdoor recreation also offers off-campus trips, ranging from day hikes to multi-day trips to places like Yosemite and the Grand Canyon. This university really offers a chance for you to grow and develop as a young adult. There are many more top universities across the United States – and if you wish to take your research further than do not hesitate to look at the Fulbright Commission – who promote study exchange between the US and the UK. Education USA also offers ample advice on the application process and which universities to select based on your chosen subjects. Get ready to make the most of your chance in the land of opportunity!